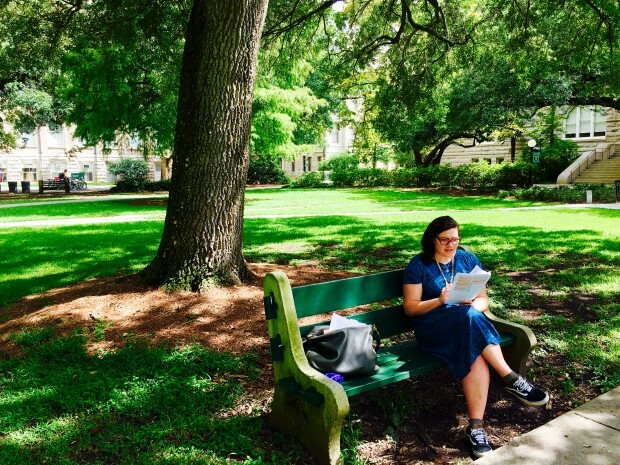 Pursuing my PhD has always been something I’ve wanted to do – and being able to carry it out in the US, let alone New Orleans, with some top notch academics has so far been a grand adventure. New Orleans is an amazingly diverse city, full of culture, and still very much recovering from Hurricane Katrina. It has been incredible to hear stories and see the effects first hand of the flood. Southern hospitality is real down here, which has been so amazing. After four days at my Gateway Orientation in Miami, I was so lucky to be hosted when I arrived by the parents of a US Fulbrighter to NZ, both who embody Southern hospitality and helped me get on my feet. My biggest challenge so far has been the shock hitting the ground and suddenly realising I was actually in the US after such a long time talking about it. Combined with being in a new environment with only strangers, then having to concentrate on school work, made for some tough times. My highlight so far has to be the music and food. As a bourgeoning trumpet player, this city has been incredible for music. I try and go to a show every fortnight and there is no shortage of good shows. For the course work component of my PhD which I’m currently in now, there is a significant amount of reading and a relatively small amount of contact time (six hours a week). So a lot of my time is spent reading, wandering through the neighbourhoods of New Orleans, listening to music and trying different food with my classmates. New Orleans has some of the best food in the world, and the Cajun cuisine is definitely my favourite so far. Luckily I have a couple more years to try it all!